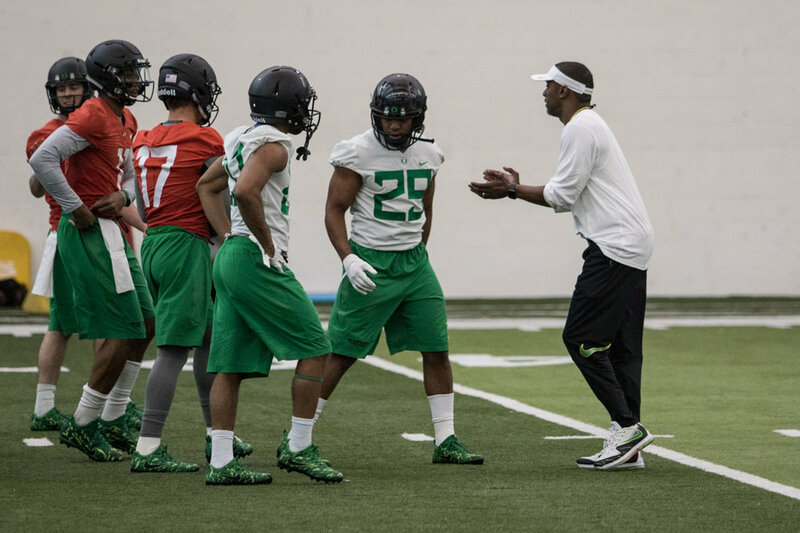 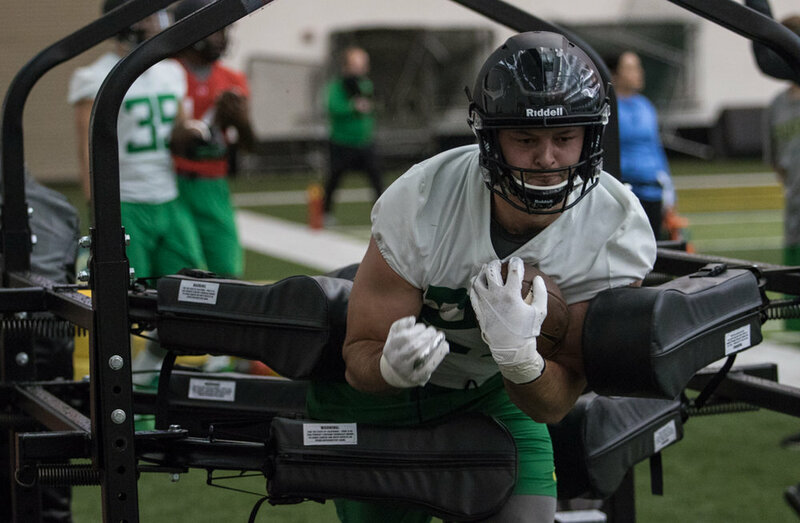 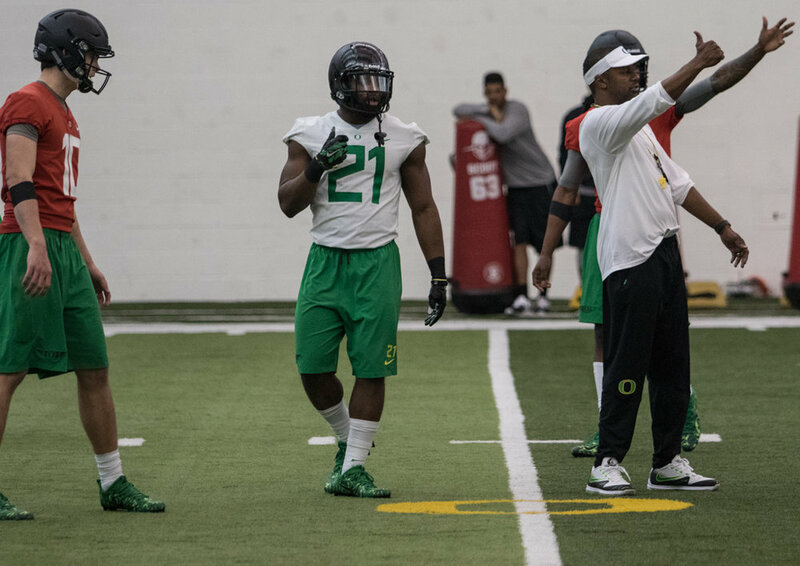 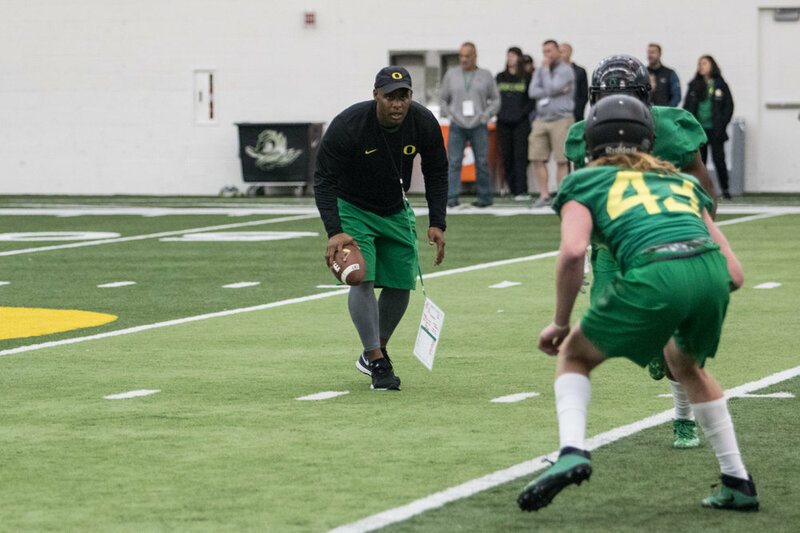 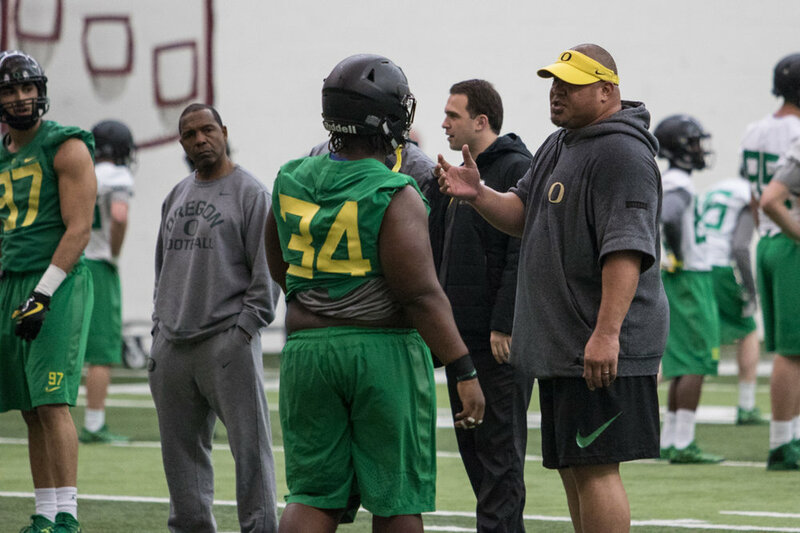 Breaking from the pattern established by former Oregon head coach Chip Kelly, for the second time this spring, the Oregon Football team held open media availability during practice in the Moshofsky Center in Eugene, Ore. on Friday April 7, 2017. 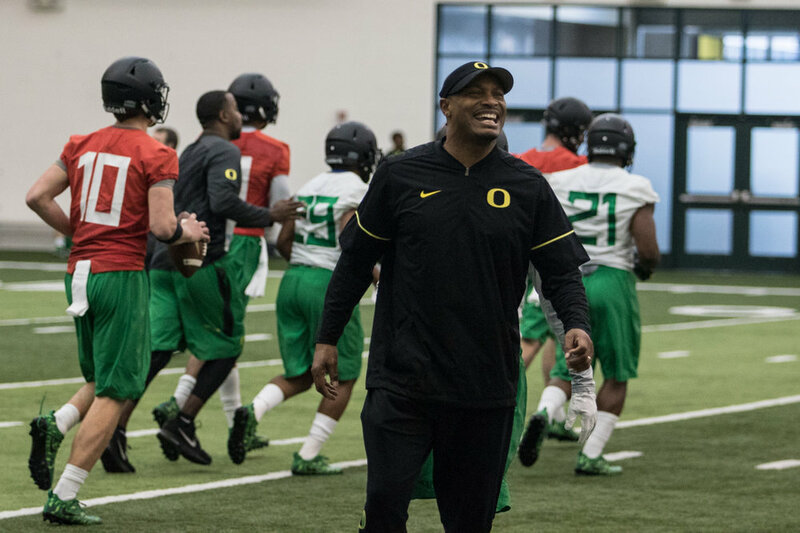 The new coaching staff, lead by Taggert, appeared energetic throughout the day's action, often smiling and laughing between drills, though never wavering from their relentless pace. 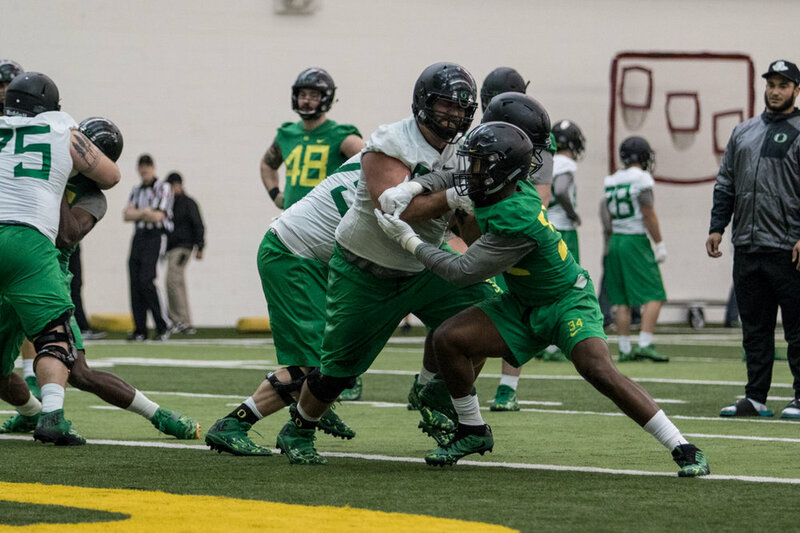 Despite the lack of shoulder pads, many of the players weren't afraid to get physical, especially members of both the offensive and defensive lines.